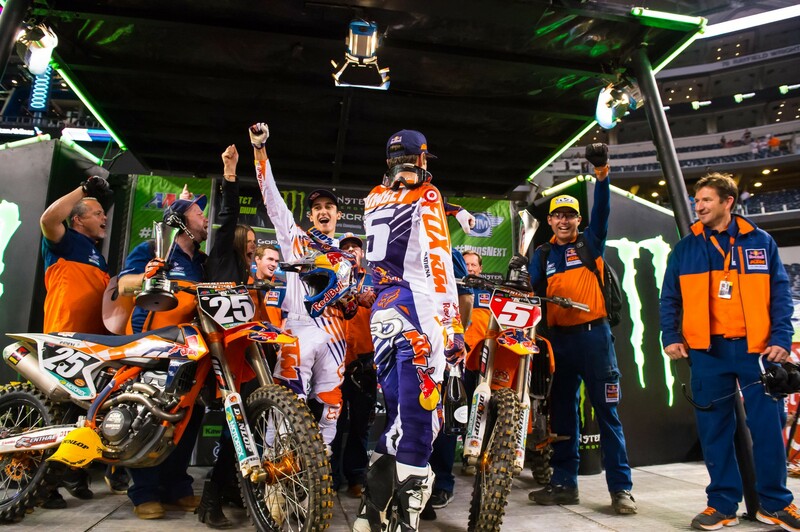 Ryan Dungey and Marvin Musquin made it a great night out for the US Red Bull KTM Factory Racing Team on Saturday picking up wins in both the 450 and 250-class races as the competition moved to the East Coast for the first time in 2015. 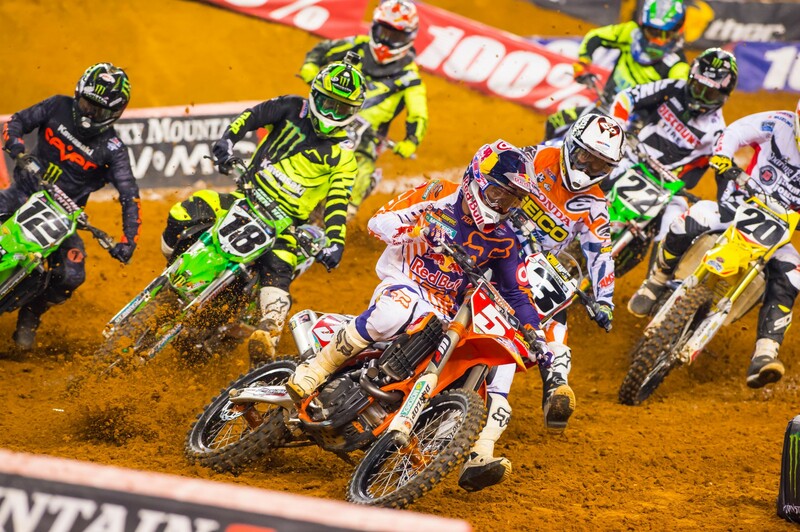 Dungey was supreme in his Round Seven race to consolidate his lead at the top of the championship points and Musquin opened his account with an impressive ride in the opening round of the 250-clss East Coast series. 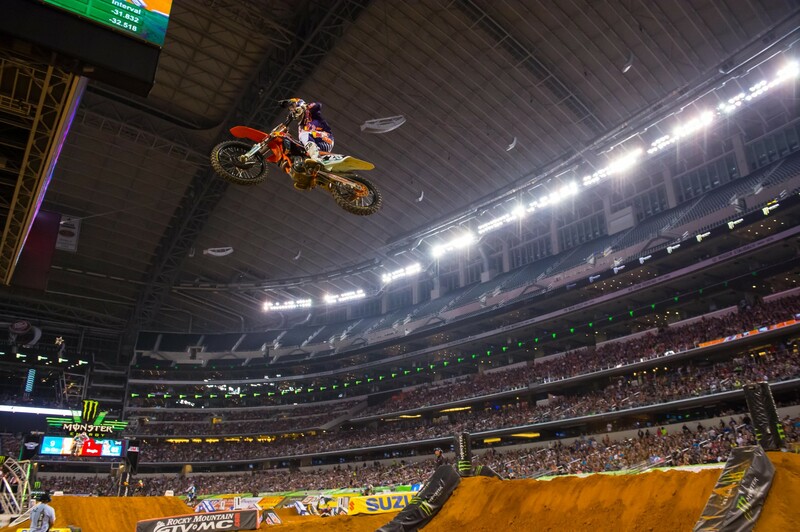 Both riders are Red Bull athletes. 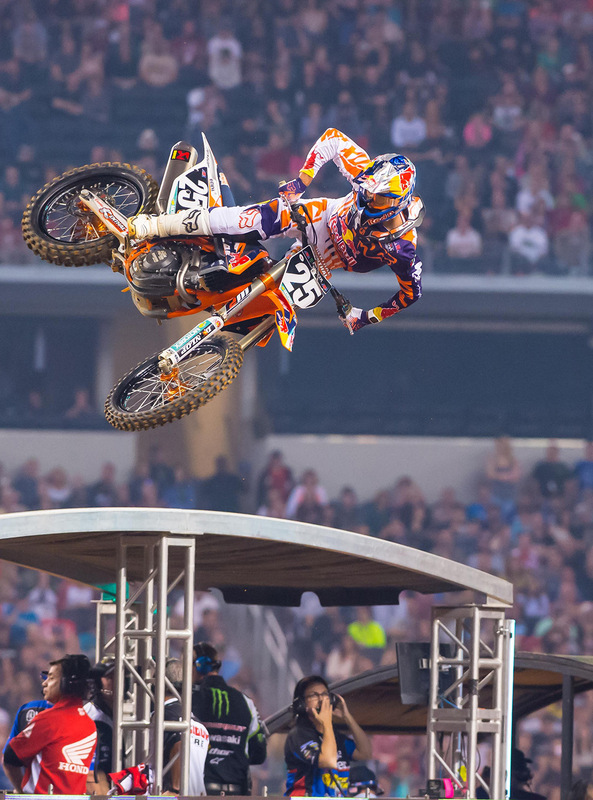 Dungey had a successful outing from beginning to end at this round. 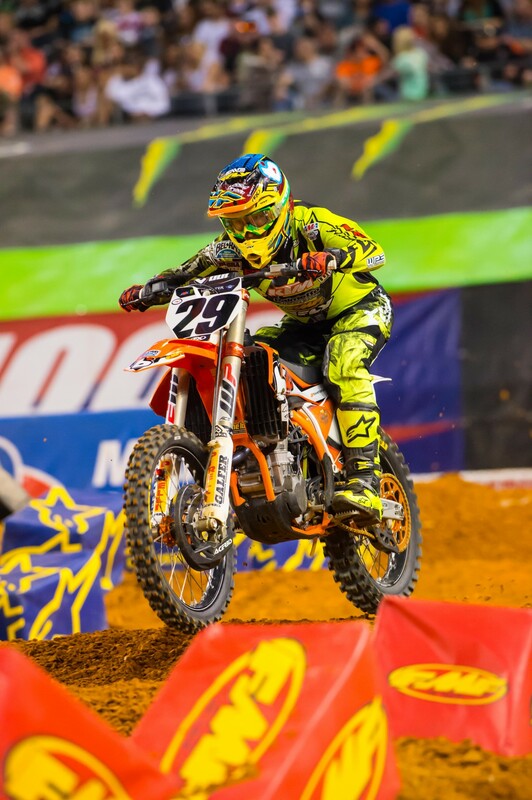 He was running fourth early in his heat race before it was red-flagged. 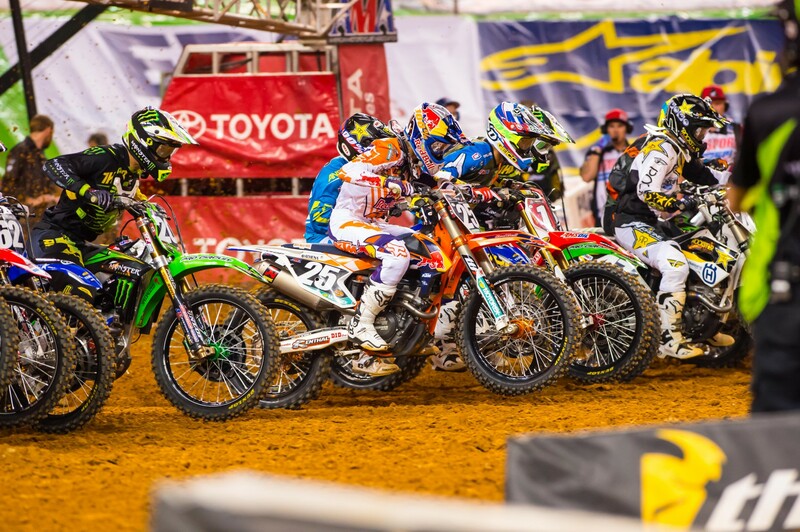 On the restart, he pulled the holeshot and went on to win the heat to have a great gate pick for the main event. 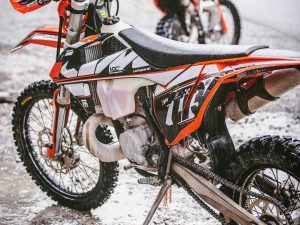 He nailed the start once more when the gate dropped for the main event, putting his KTM 450 SX-F Factory Edition motorcycle out front where he stayed for the rest of the race. 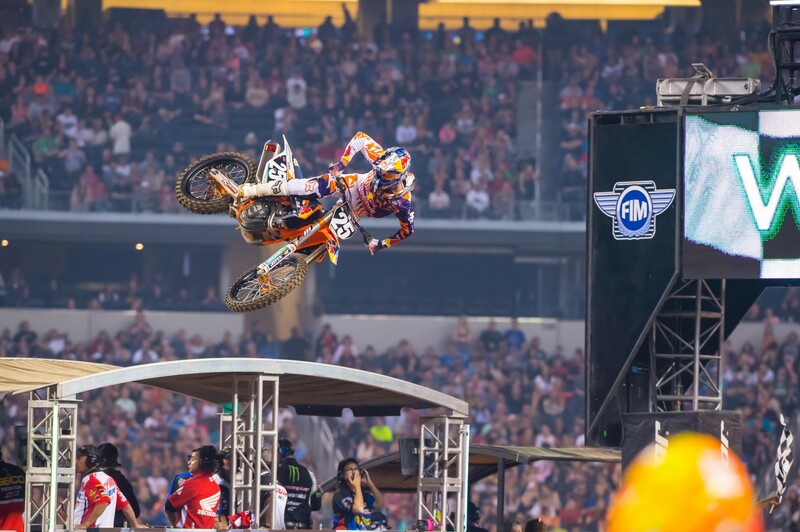 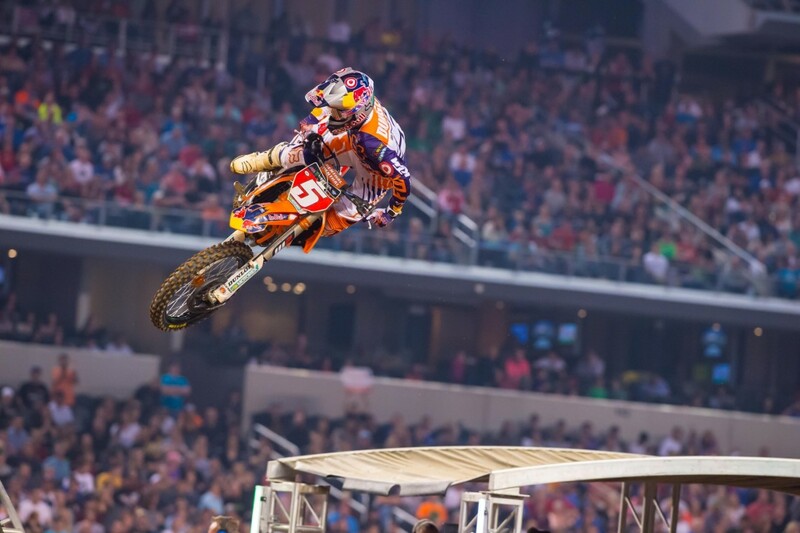 Dungey took the checkered flag with an impressive four-second advantage over the second place rider. Dungey’s win in Dallas increases his lead to 12 points in the championship standings heading to the next round in Atlanta next weekend. 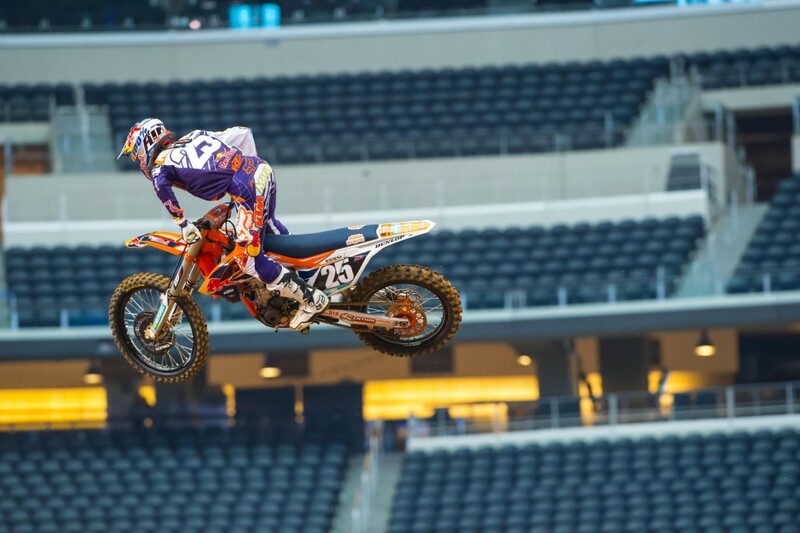 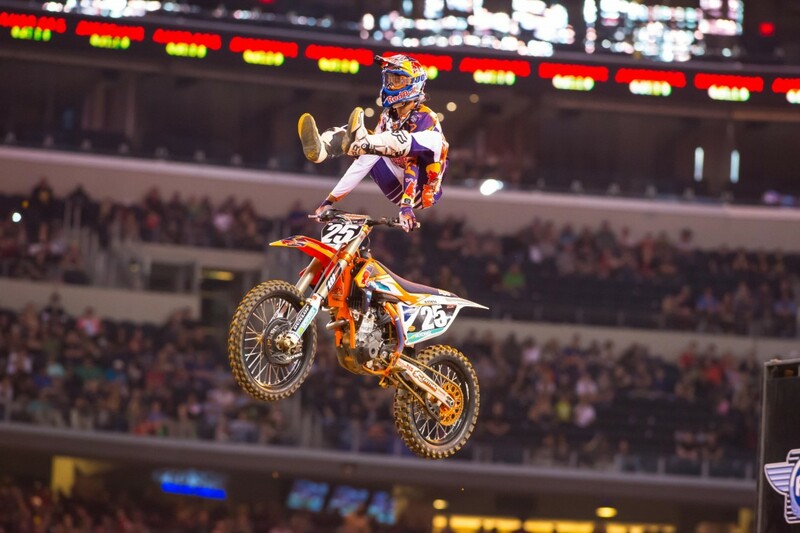 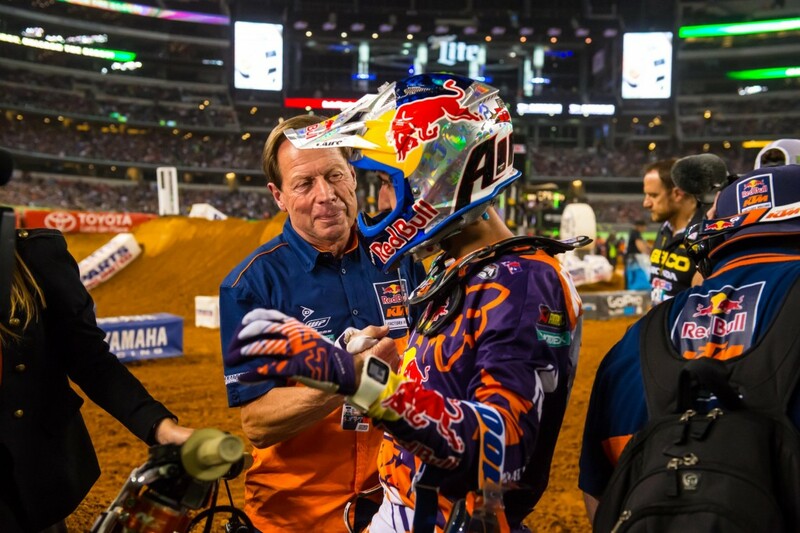 It was also a top night out in Texas for the factory team’s French rider Musquin who took an impressive win in his first race of the season in the opening round of the East 250 SX class championship at the AT&T Stadium. 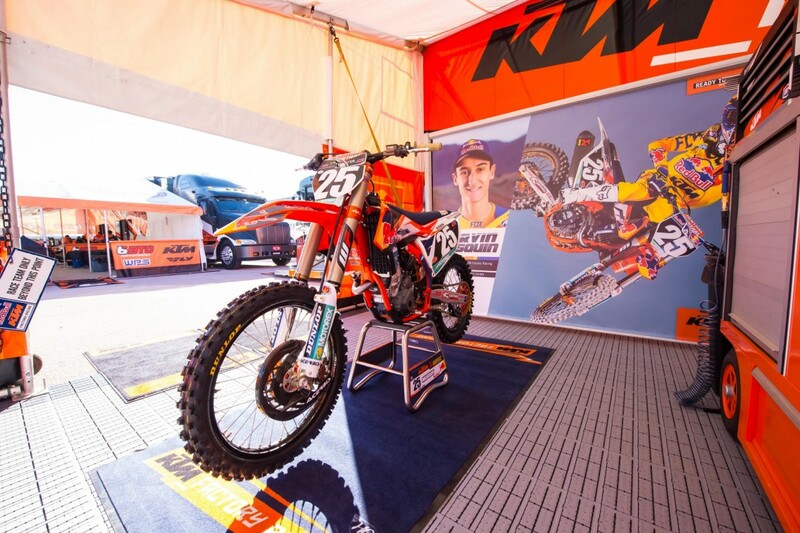 Musquin rides the KTM 250 SX-F Factory Edition. 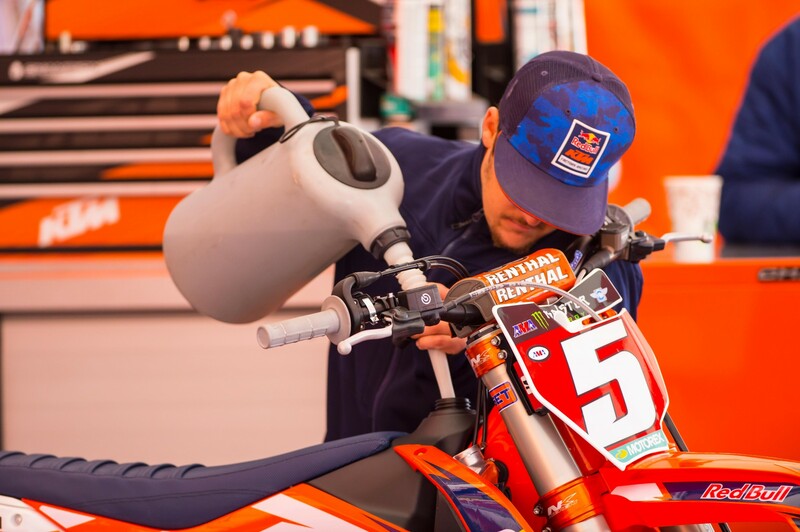 The factory rider, who spent the off-season restructuring his training program, showed up at the first round ready to battle. 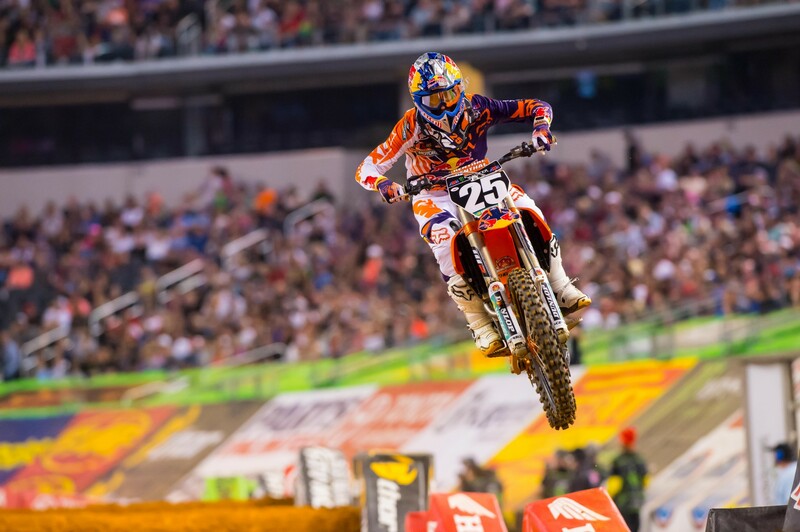 He was placed in the second heat race where he got a great start and went on to win with a comfortable gap on the rest of the field for first gate choice for the main event. 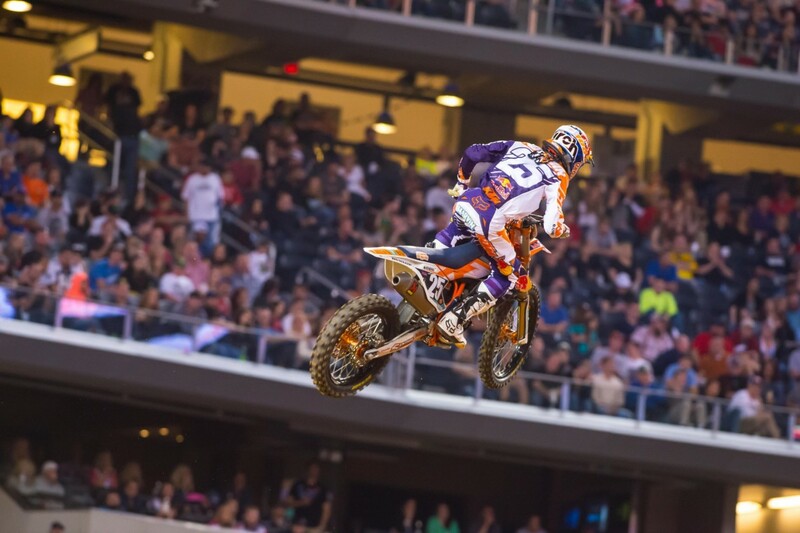 Musquin grabbed a huge holeshot in the main event and quickly pulled away from the rest of the field. He had managed to extend his lead by an impressive five seconds before the race was red-flagged on lap six due to an injured rider. 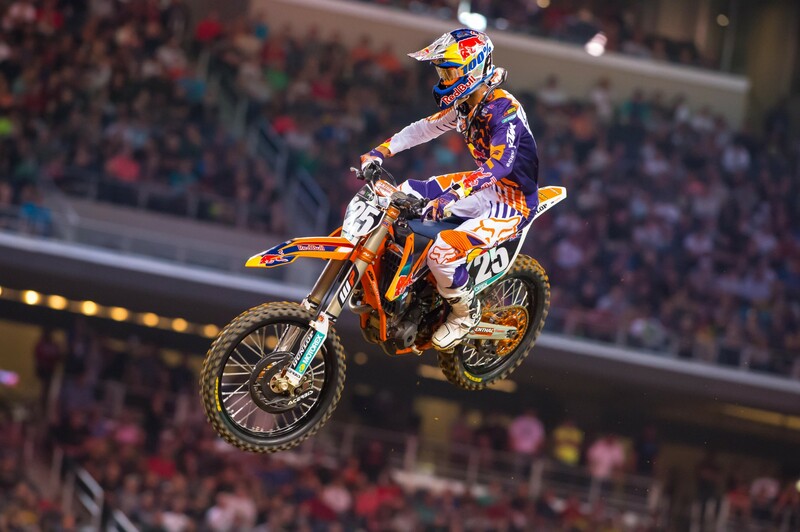 Musquin pulled off the track and returned to the start for the official AMA ruling. 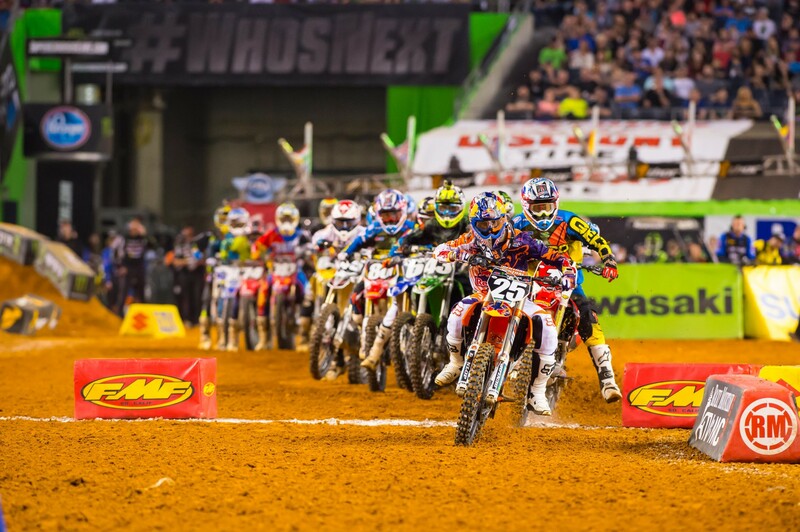 The AMA decided to do a staggered start since more than three laps had been completed. Musquin led the way off the staggered start and quickly surged into the lead, going on to take his first win of the season. 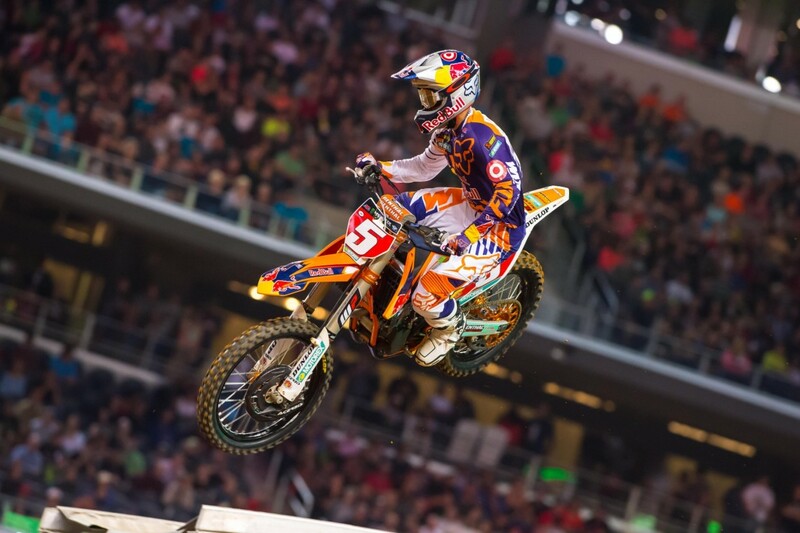 Both KTM factory riders carry the red plate as championship leaders into the next round.